A beautiful fitted jacket with magical hood and braided edgings ! 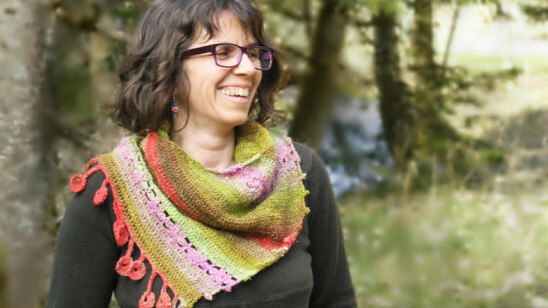 Unusual and fun shawl to crochet sideways using any yarn of your choice. 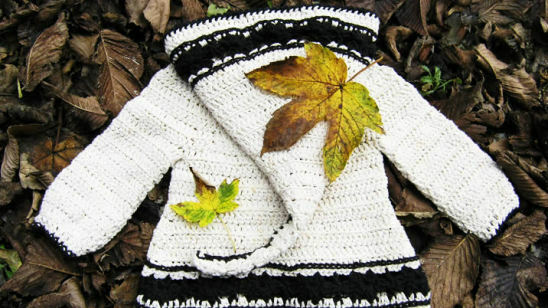 Super quick to make with bulky yarn, you’ll love its clear lines. With sizes up to 3XL ! 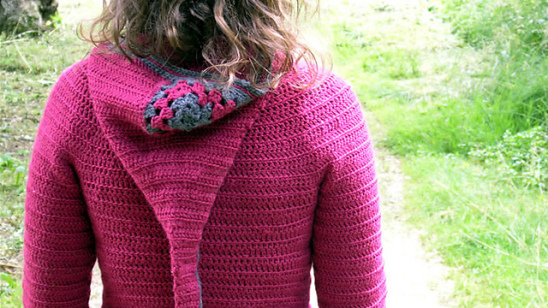 Adult version of “Lutin Marguerite”, a fitted cardigan with super long elfin hood, and easy floral motif. 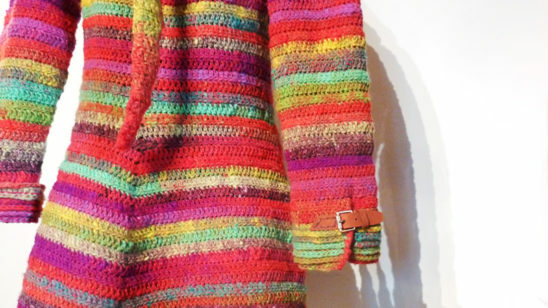 A super cozy and colorfull jacket with pointy hood and pompom ! Adult version of the Roseline, Ombeline features a high empire waist and long sleeves with lacy flared cuffs. 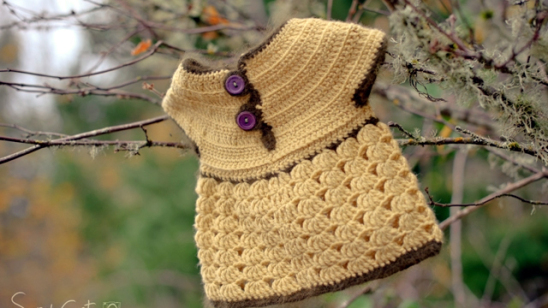 This Elfin hooded Jacket is the perfect outfit for your woodland little ones! 4 sizes from 6 months to 2 yo. Get 3 of my most popular patterns for the price of 2 ! 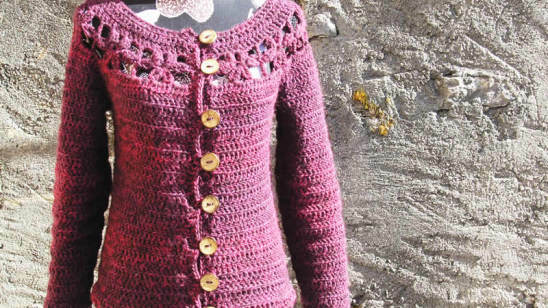 That’s the Armel, Ermeline and Jehanne hooded cardigan patterns. 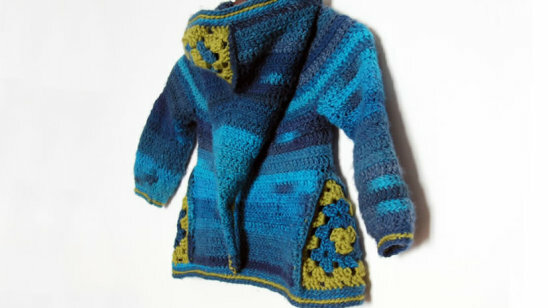 Just like Ermeline, a great cardigan with long hood and granny square details. 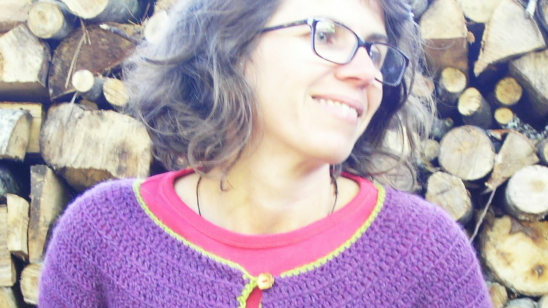 Finally the Violaine top, adult version of the Roselette ! Now with larger sizes available ! Treat your feet with those super comfortable Babouches ! Go eco ! 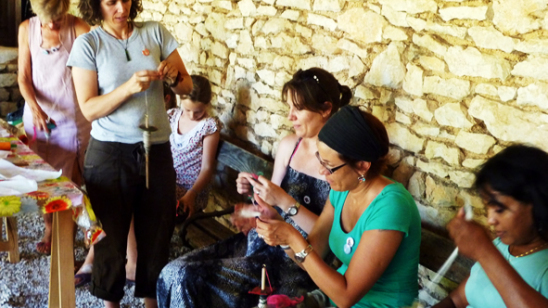 Learn to sew your own reusable menstrual sanitary cloth pads, + tips on easy no-fuss care.